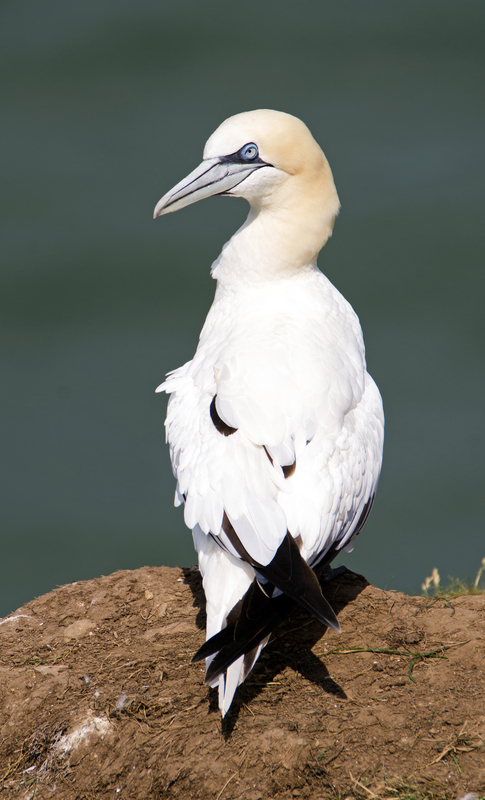 Gannets are amazing! 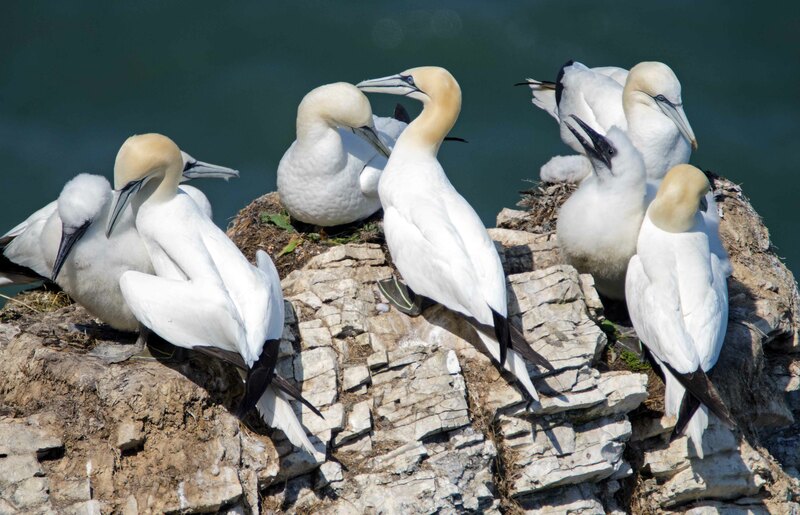 Not only are they sublimely beautiful – well the adults are, perhaps not the chicks! 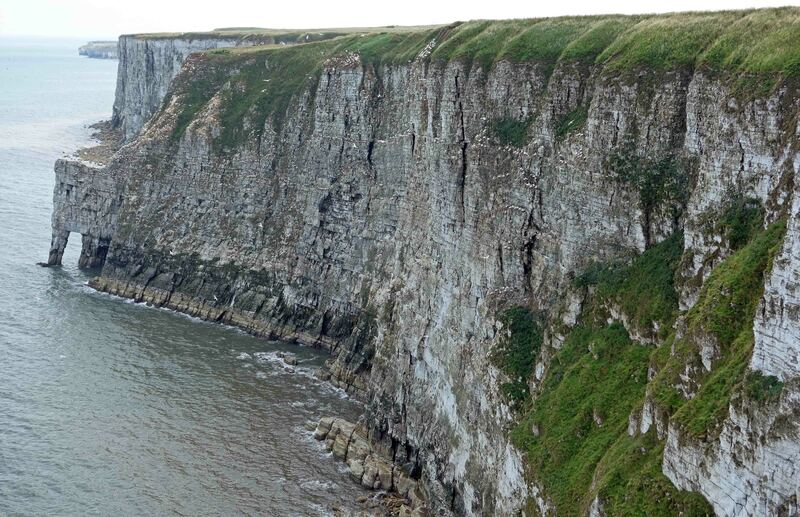 – but they exhibit such marvellous aerial behaviour: soaring flight, hovering and plunge diving. 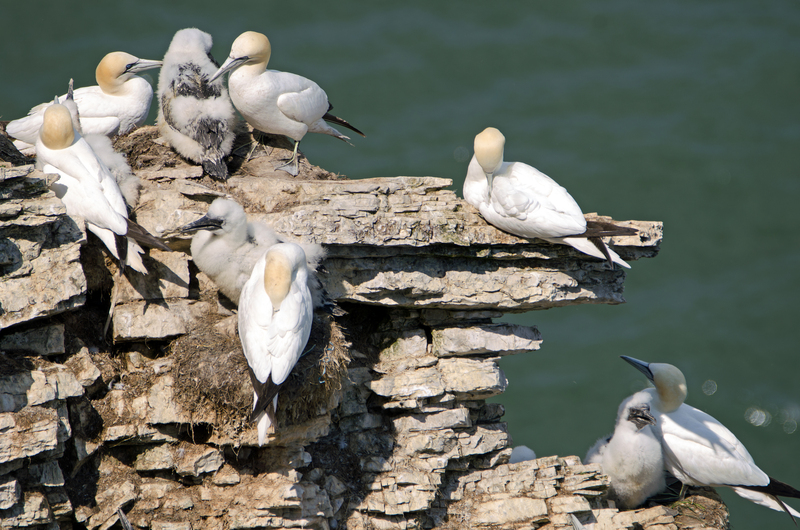 Northern gannets only lay one egg and they take very good care of their offspring, brooding the chick to keep it warm and safe, cleaning it and most importantly of all, feeding it. 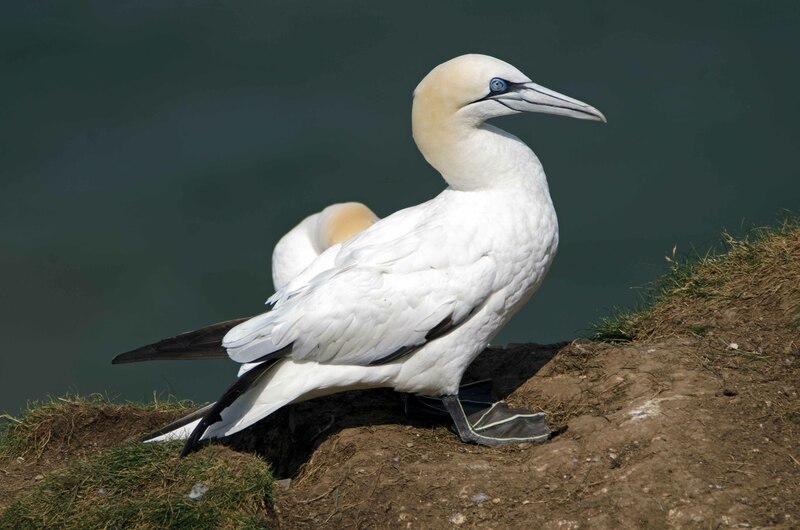 The adults feed their offspring for 11-12 weeks, until they are ready to leave the nest and go down to the sea to fend for themselves (1). 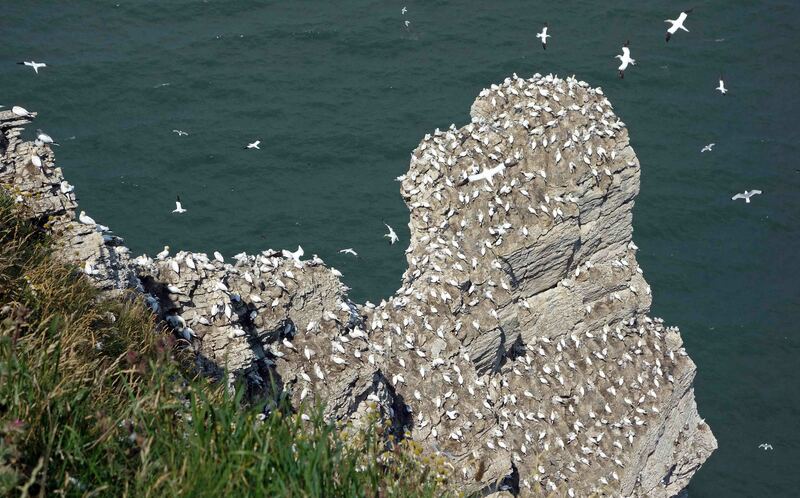 The other great news about gannets – the northern gannet (Sula bassana) – is that their numbers are increasing (2). 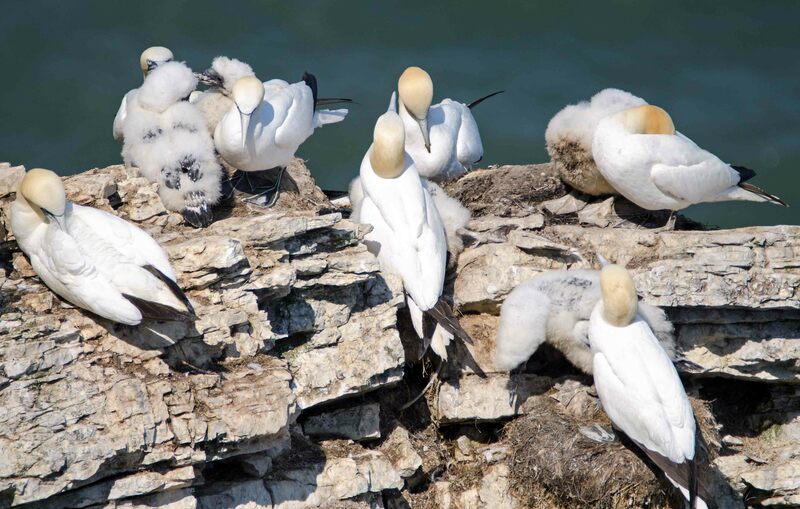 With all the horror stories about wildlife suffering depredations – mainly at the hands of Man – around the world today, its uplifting to find a species that is actually thriving. This is thought to be because the are highly adaptable, able to vary their diet according to what is available, and also, to be able to fly long distances in search of food. 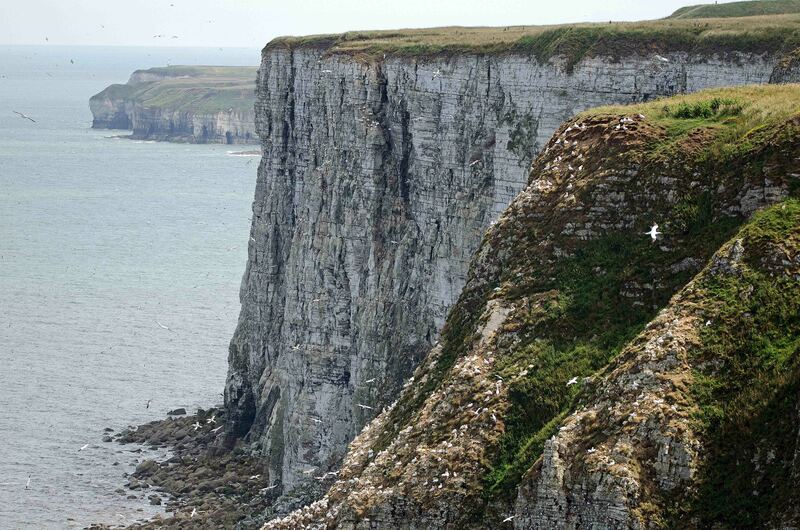 There are over 220,000 breeding pairs of northern gannets around the UK, according to the RSPB (1), and some 12,000 pairs occur on Bempton Cliffs – between Bempton and Flamborough Head in Yorkshire – which is a great place to watch these birds. 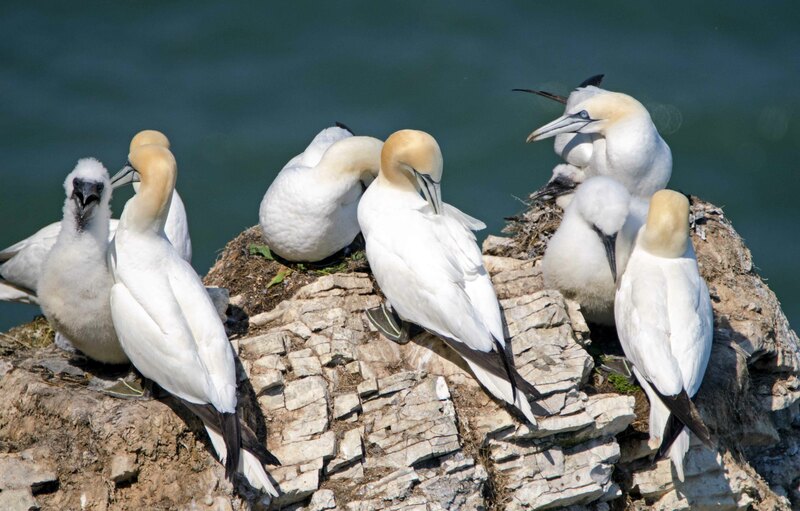 I feel privileged to live so close to these birds and to be able to enjoy them every year.